Sara Papini, Kijong Wi, Dallas Chorley, Diego Catala, Anthony Cleverton, Gabriel Sanchez Ortega, Henry Irwin / Denis Mastromonaco, conductor / Penelope Cookson, stage director / Opera York Orchestra and Chorus. November 3, at the Richmond Hill Centre for the Performing Arts. 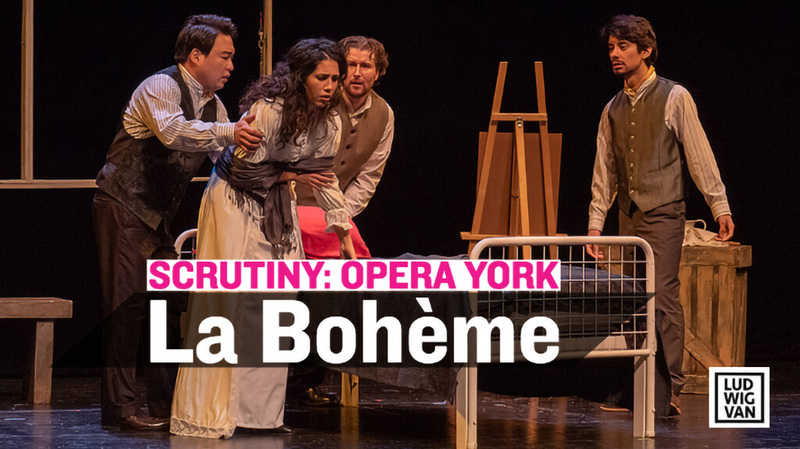 Now in its twenty-second season, Opera York (OY), the opera company in York Region of the Greater Toronto Area, usually sticks to the standard repertoire, and this season is no exception. 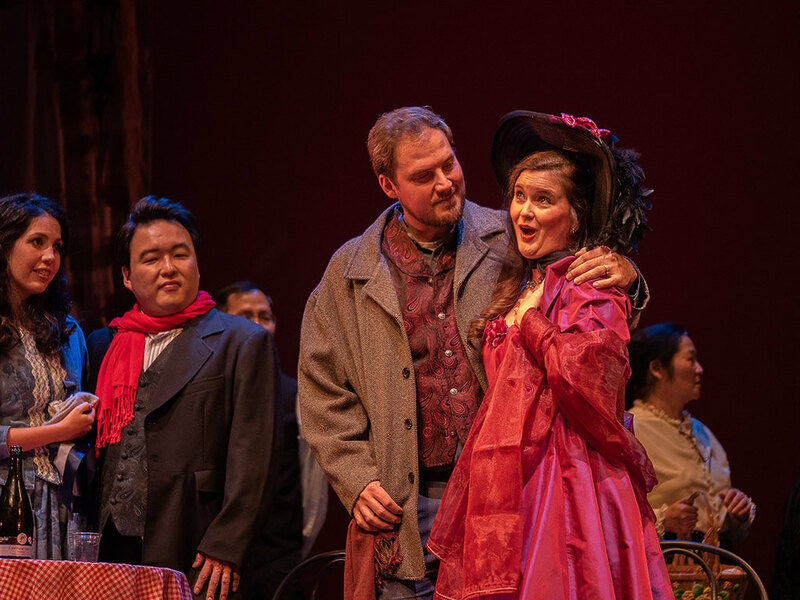 Its fall production was a perennial favourite, Puccini’s La bohème, which received two performances at its regular venue, the intimate and acoustically friendly Richmond Hill Centre for the Performing Arts. 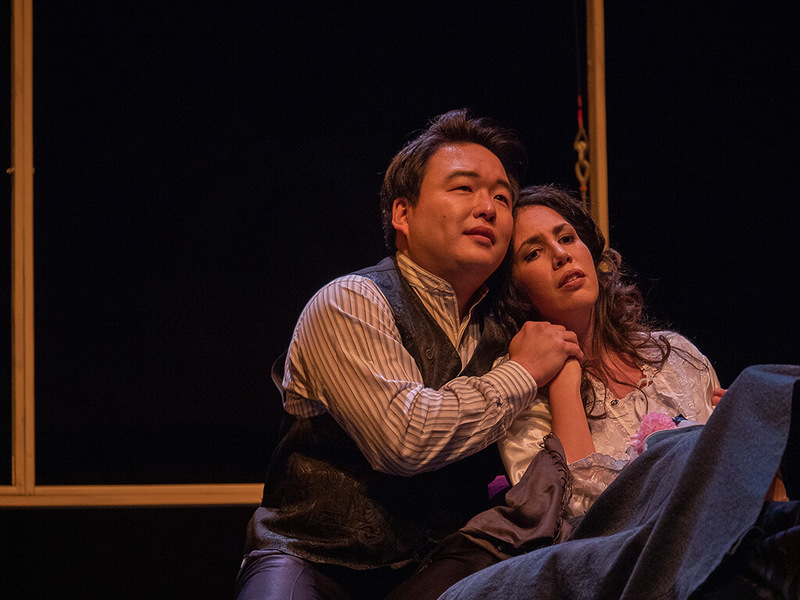 The cast featured several young, up-and-coming voices relatively new to the Canadian opera scene — tenor Kijong Wi (Rodolfo), soprano Sara Papini (Mimi), soprano Dallas Chorley (Musetta), and bass Gabriel Sanchez Ortega (Colline). As well, two baritones made welcome return to the Company as Marcello (Diego Catala) and Schaunard (Anthony Cleverton). Overall, it was a strong cast. Korean tenor Kijong Wi sang with robust tone as Rodolfo. Not much of an actor, he basically just stood and sang. Lyric soprano Sara Papini was a sympathetic Mimi, singing with fresh, attractive tone. She seemed to prefer a slower tempo than what the Maestro wanted, even when he tried to speed her up in “Si, mi chiamano Mimi.” I also would have liked a bit more chemistry between the lovers. As the second couple, Canadian soprano Dallas Chorley was a suitably flamboyant, bright-toned Musetta, with the requisite theatricality. She was well matched by the extroverted Marcello of Diego Catala. The rest of the bohemians were very good as well. Anthony Cleverton (Schaunard) took full advantage of the brief moments of his character in the sun. Gabriel Sanchez Ortega (Colline) sang a good Coat Song, but like everyone else, he was under-applauded by an audience that would rather sit on its collective hands. While the audience was ungenerous with applause after each aria, a few had the great idea of clapping in a worst possible moment, just as Mimi and Rodolfo started to walk offstage to sing the last two lines of “O soave fanciulla.” Incredibly, the curtain came down at that point, which encouraged even more applause! Sadly, poor Mimi and Rodolfo’s high Cs were wasted. The small orchestra of two dozen players under the baton of Denis Mastromonaco played quite well, a few instrument balance issues notwithstanding. Over the years, the Achilles Heel of OY has been its chorus, so it’s nice to see the Company is finally getting new blood. However, both the regular chorus and the children’s chorus seemed under-rehearsed on this occasion. This is particularly obvious in the Café Momus scene, with anything from tentative singing to missed words and entries altogether. This is one area that needs improvement as soon as possible. 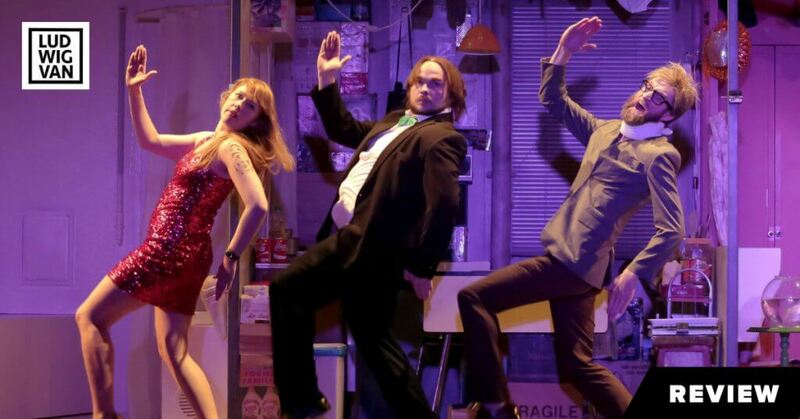 The traditional and simple production and straightforward staging are to be expected, given OY is a small company on a budget. What is missing, however, is the attention to details. A few examples: the stove used to burn Rodolfo’s manuscript for heat has no hint of a flame. Instead of projections on the blank upstage wall to set the mood, especially in the Café Momus scene, there is nothing. In act one, the wooden frame in front of a black curtain to simulate the window of the garret mysteriously disappeared by act four. Why? 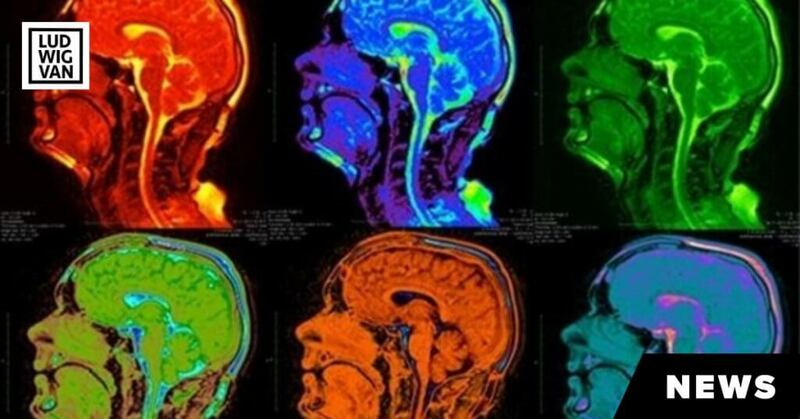 These minor issues could easily have been avoided. Let’s hope these miscues will be a thing of the past in OY’s spring production of Don Giovanni. 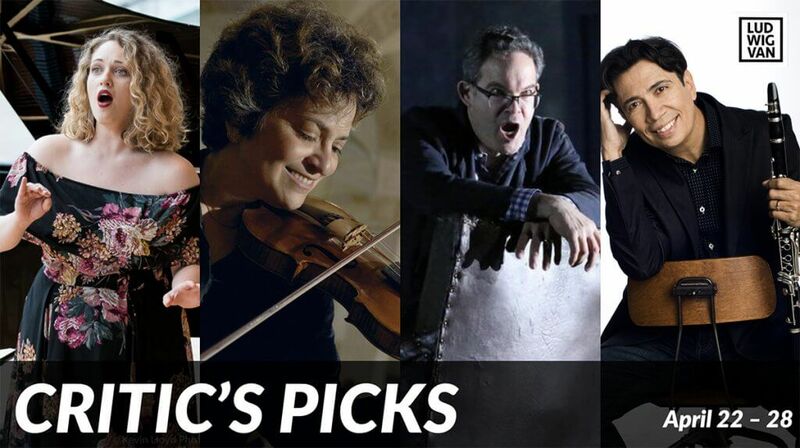 Classical music and opera events happening in and around Toronto for the week of April 22 – 28.